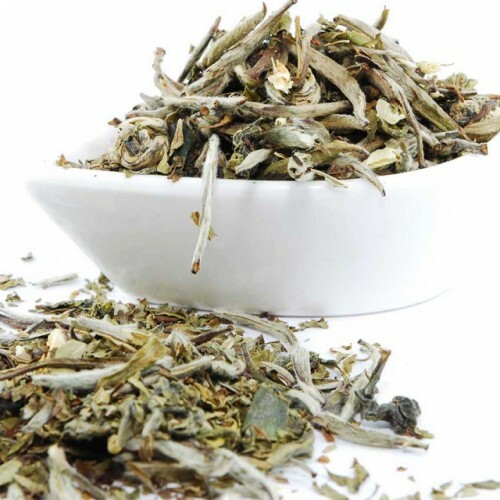 Imperial White Tea is the most prestigious blend of the T7 TEA Exotic line with approximately 15 flavors all combined for an amazing mellow tea drinking experience. It features Silver Needle White as a base, which in itself is the one of the finest teas in China. 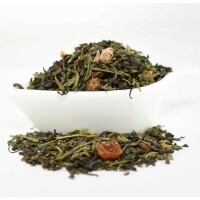 It is only gathered in early spring for a few days in Fujian province and is in very limited supplies. 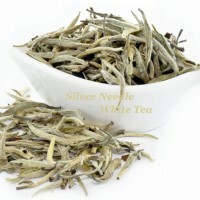 The roots of the Silver Needle can be traced back to 18th Century Qing Dynasty. By using Silver Needle as a base for Imperial White Exotic, we took an already fantastic and rare tea, and made it 10 times better! The Imperial White has a soft introduction to the palate, and a minty follow threw upon exiting. When consumed on a regular basis it is said to help detoxify your body and cleanse your mind. When you need help relaxing be sure to indulge in the fine Imperial White and embrace the health benefits of the minty aftertaste. Use 1.5 teaspoons of tea per 8oz of water. Heat water to 195 degrees and steep for up to 3 minutes.